The Rolling Stones. Photo by Dave Hogan. Canadians will have a chance to rock out with The Rolling Stones this Canada Day weekend. 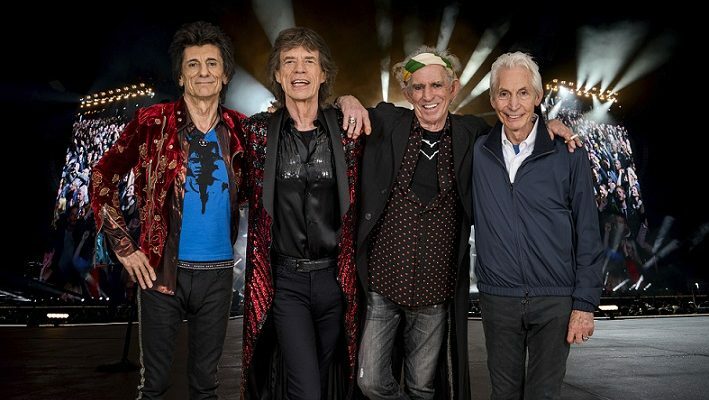 The legendary British band has announced it will play at Burl’s Creek Event Grounds near Barrie for “Canada Rocks with The Rolling Stones” on June 29. This will be the band’s only Canadian stop on its “No Filter” tour, according to event organizer Republic Live. Roughly 70,000 people are expected to pack the 600 acre outdoor site, which is located 15 minutes north of Barrie, for the performance. The “No Filter” tour will make stops in Los Angeles, Washington, D.C., Philadelphia, Boston, New York, and Chicago before heading north for the Canada Day weekend. “This show on the Canada Day weekend will no doubt be the hottest ticket in the country and we expect fans to travel from all over the world, as well as every province and territory to see the only Canadian show on this tour,” said Lisa Zechmeister, director of booking and development for Republic Live. Tickets for the show go on sale this Friday at 10 a.m. through Ticketmaster. Fans will also have the opportunity to win tickets for the show. Classic Rock 98.1 is giving away a pair of tickets and overnight accommodations. Click here to enter. Burl’s Creek has played host to several major outdoor concerts over the years, including the Boots and Hearts Music Festival and Big Sky Music Festival.